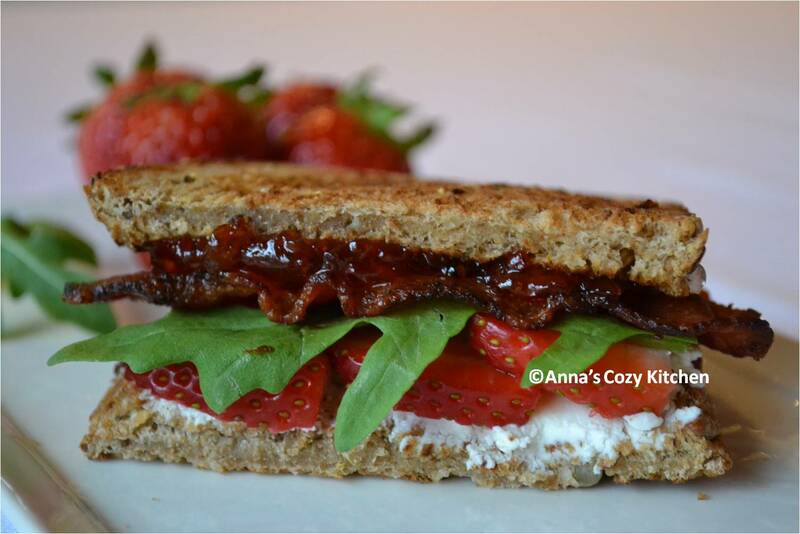 This entry was posted in Main Dishes, Quick and Easy and tagged American Classic, Arugula, Bacon, Goat cheese, Grilled Cheese, Red Pepper Jelly, Sandwich, Southern Living, Southern Tradition, Strawberry. Bookmark the permalink. Reminds me of one of my mother’s standbys. Thanks. How did your mom make her grilled cheese? I made this for Roger and I yesterday. He loved it, and so did I. Important to eat while still warm. Also, the red pepper jelly is great, but be careful not to use too much, as the sweetness can overtake other flavors if not careful. Hmm, you must have used too much red pepper jelly. I used just enough to thinly cover teh piec of bread. I liked it for the spicy kick. This is a unique combination of flavors that I can’t wait to try. Would be perfect addition to a brunch menu!